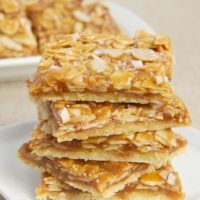 Salted Caramel Almond Bars combine a buttery crust, homemade caramel, lots of almonds, and a sprinkling of salt for a fantastic sweet and salty experience! I have a slight obsession with sweet and salty desserts. There’s just something about a little extra salt that can transform a dessert from good to great. Whether it’s a little sprinkle of salt on some seriously chocolate cookies, an over-the-top cake, or even just some sugar cookies, I am always amazed at what a bit of added salt can do. Of course, we can’t talk sweet and salty without mentioning salted caramel. I’m not quite sure when I discovered the wonder that is salted caramel, but I can tell you that it has long held a special place in my baking heart. These Salted Caramel Almond Bars are a lovely way to enjoy salted caramel. They start with a simple, buttery crust. Next comes homemade caramel with plenty of almonds stirred right into it. Then, a sprinkling of coarse salt brings these into sweet and salty territory. Making caramel can be a daunting task. I know it is for me, probably because I’ve had my share of failures making it. The thing I’ve learned and the biggest tip I can give you is to keep a close eye on the caramel because it can go from beautiful to burned pretty quickly. Once you have your beautiful, delicious caramel, you can revel in your accomplishment and enjoy one (or a few) of these tasty treats! These bars are a glorious tribute to all things sweet and salty. I love that salted caramel layer filled with all those almonds. You can, of course, substitute another type of nut if you like. Once you try them, I think you’ll find yourself margin them again and again! Find more bar recipes in the Recipe Index. 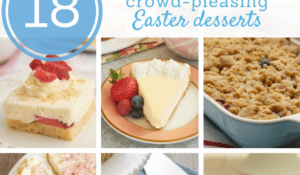 Bake or Break is a participant in the Amazon Services LLC Associates Program, an affiliate advertising program designed to provide a means for us to earn fees by linking to Amazon.com and affiliated sites. 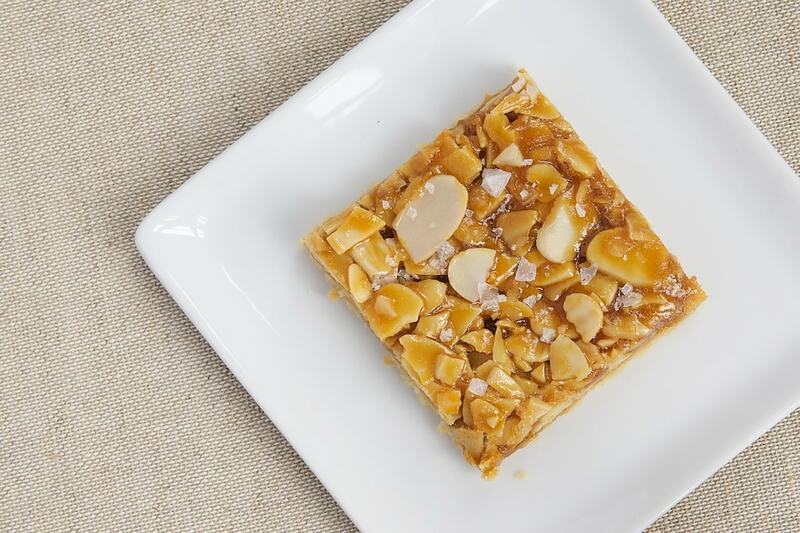 Salted Caramel Almond Bars start with a buttery crust, followed by caramel, almonds, and a sprinkling of salt. A sweet and salty favorite! Preheat oven to 350°F. Grease a 9″x 13″x 2″ baking pan. Whisk together the flour and salt. Set aside. Using an electric mixer on medium speed, beat the butter and sugar until light and fluffy. Add the vanilla and mix well. Reduce mixer speed to low. 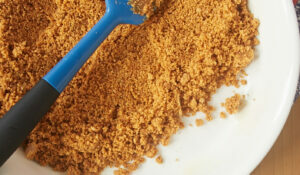 Gradually add the flour mixture, mixing until crumbly and just combined. Press the dough evenly and firmly into the bottom of prepared pan. Prick the surface of the dough with a fork. Bake 15 to 18 minutes, or until the edges are golden brown. Set the pan on a wire rack to cool. Keep the oven set to 350°F. Measure all the ingredients and have them ready so you can work quickly. Combine the sugar and water in a medium heavy saucepan. Cook over medium heat, stirring constantly and occasionally washing the sides of the pan with a wet pastry brush, until the sugar is dissolved. Increase heat to high. Cook, without stirring, until the caramel turns a dark amber color. Remove the pan from the heat immediately. Carefully stir in the cream, which will cause the mixture to bubble up. Add the butter and honey, and stir until butter is melted. Stir in the almonds, making sure they are completely coated. 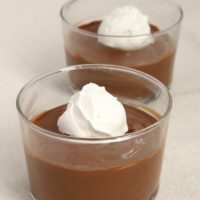 Carefully pour the caramel mixture over the prepared crust. Use an offset spatula to spread the caramel evenly over the crust. Sprinkle the top of the bars with desired amount of coarse salt. 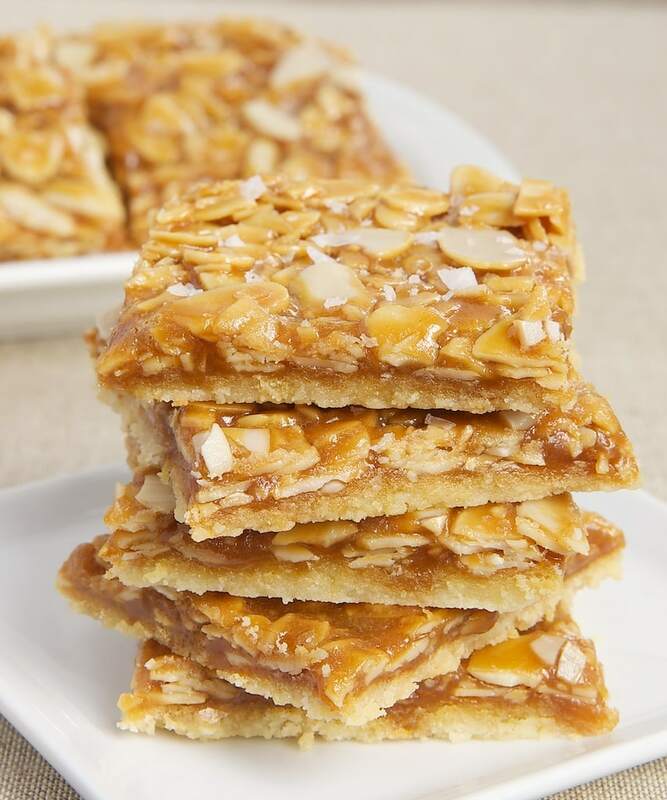 Bake 12 to 14 minutes, or until the almonds are slightly toasted and the caramel is bubbling. Cool in the pan on a wire rack for at least 1 hour before cutting into bars. Run a knife around the edges of the pan to loosen the bars. Then, flip the bars onto a cutting board, flip again to make them right-side-up, and use a sharp knife to cut into bars. *We all like different degrees of salty with our sweet, so adjust to your preferences. I used about 1/2 teaspoon of sea salt sprinkled on top of the bars. Recipe slightly adapted from The Good Cookie. I can’t even imagine how delicious these taste. Salty and sweet, soft and crunchy? All my faves! Oh these look so good, I absolutely adore sweet and salty things. I have never made caramel before this would be a new challenge for me. They look so good! I’m one to use a candy thermometer so I don’t burn the caramel. Do you know what temperature I should cook it to? I can’t wait to try them. Jane, you’ll want to aim for about 350°F. I’m loving the look of these bars! So yummy! 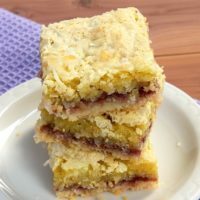 I love salty and sweet desserts, so these bars look fabulous! sweet and salty is just THE BEST! 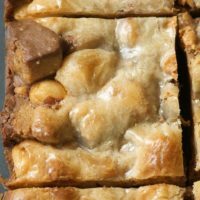 I love the gorgeous caramel in these bars and how crisp and buttery and caramel-y and just….gahhh so good!! O-M-G! I love everything about these bars. Making a batch this week. I’m dying! Sweet and salty is the best! It’s like you get all your cravings satisfied at once. These bars look awesome! These are calling my name right now. Love almonds, and can’t wait to try these. Pinned it! I love a good sprinkle of salt on my baked goods, and if caramel is involved – even better! These bars look so right up my alley. Pinned! 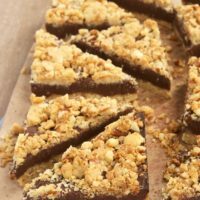 I’m SO with you on the salty sweet obsession, and this looks like my favorite nut brittle meets my favorite shortbread — wonderful! 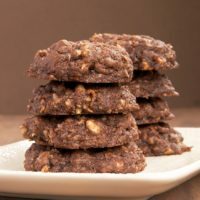 I made these just yesterday and substituted the flour for Bob’s Red Mill Flour Substitute- they still came out awesome! 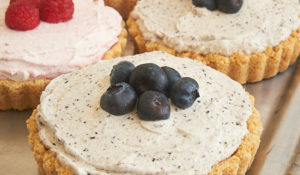 I made these over the weekend and they were a hit! Great recipe and so good! Thanks! Glad you liked them, Shannon! can you use bagged caramels instead of making your own? 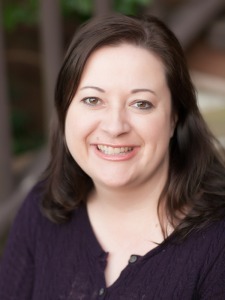 Hi, Dianne. I’ve not tried that with this recipe, but it’s worth a shot. 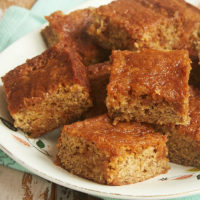 You could try a caramel filling like the one in these Caramel Cream Cheese Bars. Omg……I just made these…..ABSOLUTELY DELICIOUS!!! Thank you! It may work well enough. You may not need the entire jar. I’m not sure exactly how much caramel this recipe makes. I’d guess 3/4 cup or so. Keep in mind that the consistency of jarred caramel may not be the same, which could cause some variable results. Thank you great recipe.. I heave question the butter how much equel in grams? 1/2 cup of butter (which is 8 tablespoons) is 113g. These look delicious. I want to make these ASAP, but I only have pecans. Would chopped pecans work instead? Thanks for all the great recipes. Hi, Karen. Any kind of nut should work. Made these yesterday. Awesome!! Will definitely make these again and they are gorgeous and festive to boot. Perfect for Christmas! Everyone has LOVED THEM! Thank you!! And, btw, I’ve made your cranberry cheesecake pie for two years running at Thanksgiving! Winners!